Use the Stack tool to build sets of wall panels of differing material and save them for future use. This tool is primarily used with tile, but is also compatible with all other products. Rather than laboriously adding individual layers of wall flaps to build a tile layout, the Stack feature allows for the creation of multiple layers of material in a single step. 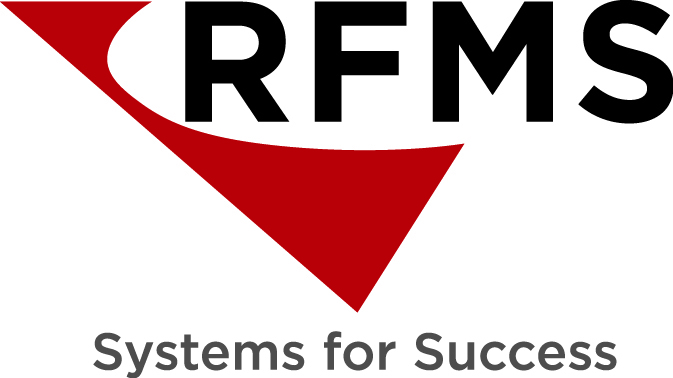 Once a Stack has been created, it can quickly be added to other rooms on the current floor plan, saved for use in future takeoffs, and even shared with others in your organization through the RFMS Cloud. Note: The Stack tool is only available in Measure Premier, though other editions may still view and edit projects containing Stacks. All functions associated with this feature can be accessed by clicking the Stacks button under the Room tab of the Ribbon Bar, which opens the window described below. Library of stacks that have been saved to the local workstation. Left-click to make a selection. Open the Stacks window and make changes to the selected stack. Editing a stack only updates it in the library. If a stack was assigned to a room prior to being edited, any adjustments to it will only take effect on the drawing when the Replace function is used. Create a new stack. Newly created stacks are saved to the "My Stacks" library. The process of creating a new stack is described in depth below. Delete the selected stack. This will remove it from the library but will not delete it from any rooms to which it has been assigned. Warning: Deleting a stack from the "Company Stacks" library will remove it for all users in the organization. When a stack in the library has been edited, click this button to apply the changes to all rooms in which it is being used. If one or more rooms are selected then the stack will be applied on all sides of the room(s). If individual sides of a room are selected then the stack will only be applied to them. Library of stacks that have been saved to the company's RFMS Cloud. Left-click to make a selection. Any changes made to stacks in this library will affect all other users in the organization. 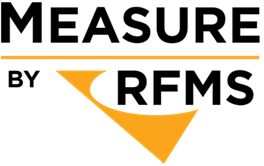 Import the selected stack from the RFMS Cloud to the local "My Stacks" library. Tip: If adjustments need to be made to a Cloud-based stack, consider first importing it to your "My Stacks" library and editing it from there. Doing so will keep the edits on your workstation and thus will not affect other users. Upload a stack from your local library to the RFMS Cloud. Stacks that have been shared to the Cloud are accessible to all users in the organization. Text field in which a name for the stack must be entered. The name will serve as a label for the stack when it is saved to the library. Tip: If a stack is going to be saved to the "My Company" library, be sure to provide a descriptive name so that others in the organization can understand how and where it is to be used. Use this panel to get a sense of how the stack will look. It can be rotated in 3D by moving the mouse cursor over it, holding down the left button, and dragging. The grey panel under the stack is a stand-in for the floor the stack will attach to. A list showing the order of the panels making up the stack. The panel that attaches to the floor of a room is the one at the bottom and all other panels stack on top of it. Left-click a panel to select it. The settings in the "This Panel" area of the Stack window (see below) are applied to whichever panel is currently selected. These arrows can be used to scroll the list up and down in instances where a large number of panels have been created. Create a new panel at the top of the stack. Delete the currently selected panel. The stack can be re-ordered by selecting a panel and clicking the up or down arrow to raise or lower it respectively. Displays the currently selected product. Left-click this button to open the product selection window. Text field in which the height of the current panel is entered. Slider used to specify a direction for the material assigned to the current panel. Left-click and drag it to change the setting. Tip: If you're unable to dial in the exact angle you need, left-click the slider and use the left and right arrow keys to adjust it in one degree increments. Radio buttons used to select a fold direction for the current panel. Fold direction is always applied relative to the panel below the one that is currently being edited. Example: The bottom panel of a stack is folded "Toward", meaning that it's applied up the wall at a 90 degree angle from the floor. If the second panel is set to "Flat", it will continue up the wall in the same direction as the first. Specify a tile start location for the current panel. This setting operates relative to the Panel Direction. Measure's default tile start method. This will reflect the standard way tile is installed in the majority of cases. Start tile in the corner of the panel, based on Panel Direction. Start tile in the center of the bottom row. Start tile in the center of the top row. Place a grout line in the center of the panel as a start point. Click the one of the four buttons in this area to open the product selection window and choose a product to apply to that edge. If a tile product is chosen, then a single row of tile will be allocated along the edge. Text field in which a wall thickness to be used in the 3D viewer may be specified. This setting is purely visual and does not affect material calculations. Non-editable text field that displays the current height of the stack. Assign add-on products or services to the currently selected panel. Items added to the stack with this feature are created as Room Add-ons and can be adjusted as such after the stack has been placed on the drawing. Note: Add-Ons created with this feature do not apply to the entire stack. They are only added to the currently selected panel.